It’s been seven years since N.E.R.D. released an album. But, this music has always been there for me when I needed it. In high school, songs like “Rock Star” helped bridge the gaps in my musical tastes. Then, in the summer of 2004, I fell in love with “Fly or Die,” the second album by N.E.R.D. N.E.R.D. is a band consisting of The Neptunes, the production duo of Chad Hugo and Pharrell Williams, and Sheldon “Shay” Haley. Together they create songs that infuse elements of funk, rock and hip-hop. The group released its debut album “In Search Of…” in 2001 during a time when it was popular to combine elements of hip-hop and rock music. The first N.E.R.D. hit song was “Lapdance” featuring Lee Harvey and Vita. After “Fly Or Die” was released in March 2004, N.E.R.D. dropped 2008’s “Seeing Sounds,” which was good but had less of an impact on me and 2010’s “Nothing,” which completely flew under my radar. Then the group went silent until this past December. But, even if you never heard of N.E.R.D. or The Neptunes, you have probably heard the production of Hugo and Williams on “Milkshake” by Kelis and “Drop It Like It’s Hot” by Snoop Dogg. Even your mom probably knows who Pharrell is because in 2013 he had two of the hottest songs in the world with “Happy,” from his second solo album, and his writing and producing “Blurred Lines,” by Robin Thicke. As if that wasn’t enough, he even made headlines for wearing a big hat at the Grammy Awards in 2014. I rekindled my love of N.E.R.D. when I heard the opening lines of the group’s fifth studio album,” No_One Ever Really Dies” released Friday, Dec. 15, 2017 on i am OTHER and Columbia Records. “The truth will set you free, but first it will piss you off,” is how N.E.R.D introduces the first track, “Lemon” featuring Rihanna. The album then picks up right where it left off with “Fly Or Die” by playing with the catchy hooks a punk rock, do-it-yourself energy and honest storylines. N.E.R.D. has always provided an experimental space for musicians to combine traditional and electronic music with outer-worldly elements to create some psychedelic sounds. “No_One Ever Really Dies” is an inspiring album that is free of genre constraints. For example, on my favorite song, “Lightning Fire Magic Prayer,” Pharrell begins by asking his son Rocket to “Sing the letter G” and he then uses that as a sample throughout the song. One of the things that I’ve always liked about N.E.R.D. is its ability to talk about current politics without being preachy. When I go back and listen to “Lapdance” today, it sounds a lot like a rally against the corruption of money in government. When I first heard “Fly Or Die,” I felt like it was speaking to my generation and I think “No_One Ever Really Dies” succeeds in highlighting important issues for today’s young adults. There are some very uplifting moments on the album that speaks to staying positive. On “1000,” Pharrell sings “In the mirror, there’s a hero.” On “ESP” N.E.R.D. gets poetic about cosmic energy. But, for a band led by a guy who is known for his club hits, “No_One Ever Really Dies” delivers on the feel-good vibes. I think it’s great to hear Sheeran having fun on “Lifting You.” Just like the first two N.E.R.D. albums, this one creates a feeling of letting go while still being connected. “No_One Ever Really Dies” is one part born-again woke, one part forget it all and have fun, and finally one part creating beauty from conflict. It doesn’t try to be everything at once, but it succeeds in finding its place in this musical universe. See N.E.R.D. at Governor’s Ball Music Festival, Friday, June 1-3 at Randall’s Island in New York City. 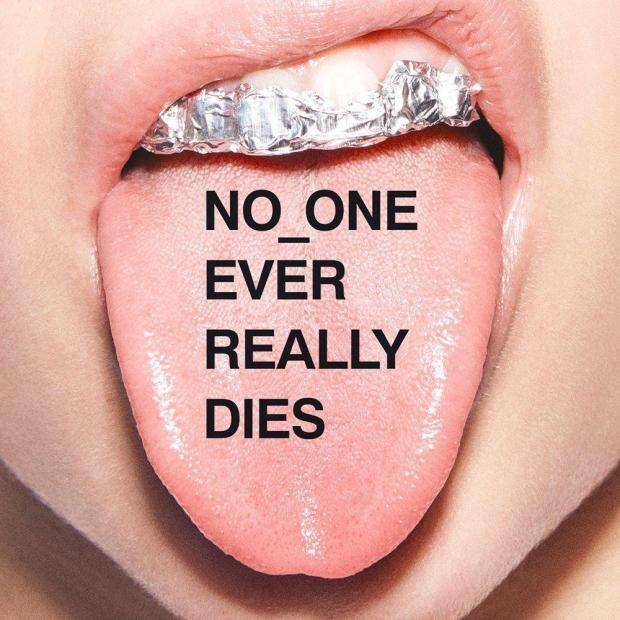 Get “No_One Ever Really Dies” from N.E.R.D., Apple Music, Amazon, Google Play, Spotify, Soundcloud, Tidal and Deezer.